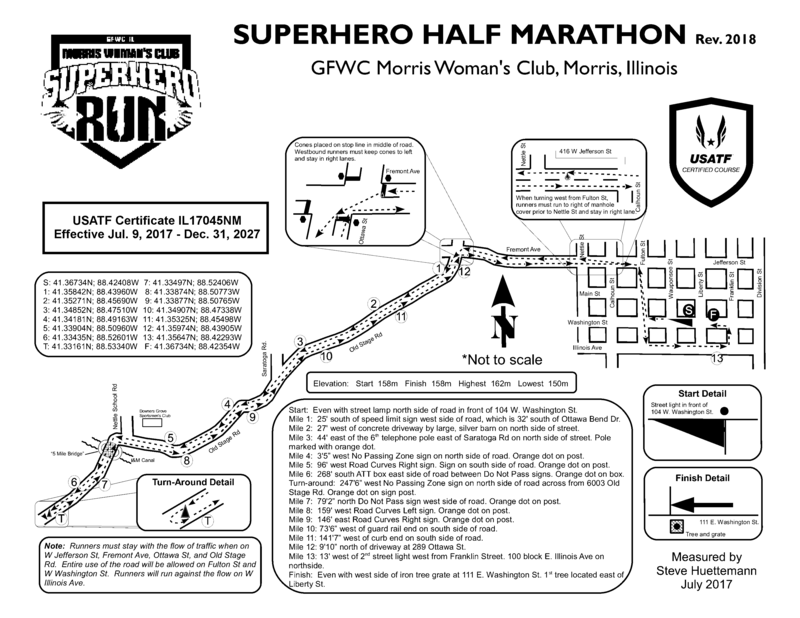 The Superhero Run is a Half Marathon Run and 5K Run/Walk. 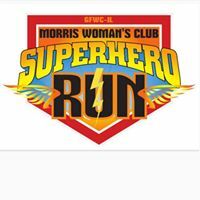 Both runs will start and finish at the FOE on Washington and Liberty Streets in Nostalgic Downtown Morris, IL. The Half Marathon will start at 7am and 5K at 9am start. We encourage everyone to come dressed as their favorite Superhero. This year's beneficiary is Reclaim13 (http://www.reclaim13.org/). Friday 4/12/19 from 5 - 6pm is early packet pickup at the FOE. Registration will also be available at that time. To be GUARANTEED a T-Shirt, you must register by 4/1/2019! We may have extra shirts the day of the race, but they will be first come, first serve! ONLINE REGISTRATION CLOSES AT 11:59pm on April 7, 2019! Register by 4/1/2019 to be guaranteed T-shirt. We MAY have extra shirts the day of race, but they will be first come, first serve! REGISTER EARLY!